Shortly after I published my FTP ETW Tracing and IIS 8 blog post, I was using the batch file from that blog to troubleshoot an issue that I was having with a custom FTP provider. One of the columns which I display in my results is Clock-Time, which is obviously a sequential timestamp that is used to indicate the time and order in which the events occurred. At first glance the Clock-Time values might appear to be a range of useless numbers, but I use Clock-Time values quite often when I import the data from my ETW traces into something like Excel and I need to sort the data by the various columns. That being said, apart from keeping the trace events in order, Clock-Time isn't a very user-friendly value. However, LogParser has some great built-in functions for crunching date/time values, so I decided to update the script to take advantage of some LogParser coolness and reformat the Clock-Time value into a human-readable Date/Time value. My first order of business was to figure out how to decode the Clock-Time value; since Clock-Time increases for each event, it is obviously an offset from some constant, and after a bit of searching I found that the Clock-Time value is the offset in 100-nanosecond intervals since midnight on January 1, 1601. (Windows uses that value in a lot of places, not just ETW.) Once I had that information, it was pretty easy to come up with a LogParser formula to convert the Clock-Time value into the local time for my system, which is much easier to read. for %%a in (ETL CSV) do if exist "%~n0.%%a" del "%~n0.%%a"
echo Now reproduce your problem. echo tracing session. 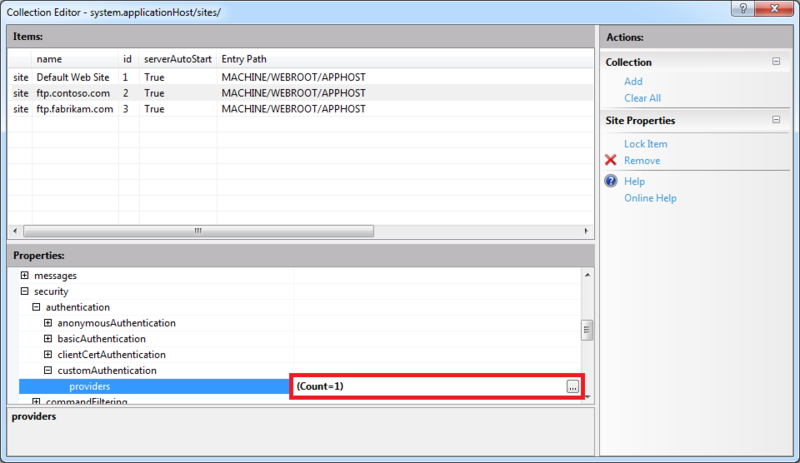 Your trace events will be displayed automatically. When you run this new batch file, it will display an additional "Date/Time" column with a more-informative value in local time for the sever where you captured the trace. The new Date/Time column is considerably more practical, so I'll probably keep it in the batch file that I use when I am troubleshooting. You will also notice that I kept the original Clock-Time column; I chose to do so because I will undoubtedly continue to use that column for sorting when I import the data into something else, but you can safely remove that column if you would prefer to use only the new Date/Time value. In the past I have written a couple of blogs about using the FTP service's Event Tracing for Windows (ETW) features to troubleshoot issues; see FTP and ETW Tracing and Troubleshooting Custom FTP Providers with ETW for details. Those blog posts contain batch files which use the built-in Windows LogMan utility to capture an ETW trace, and they use downloadable LogParser utility to parse the results into human-readable form. I use the batch files from those blogs quite often, and I tend to use them a lot when I am developing custom FTP providers which add new functionality to my FTP servers. 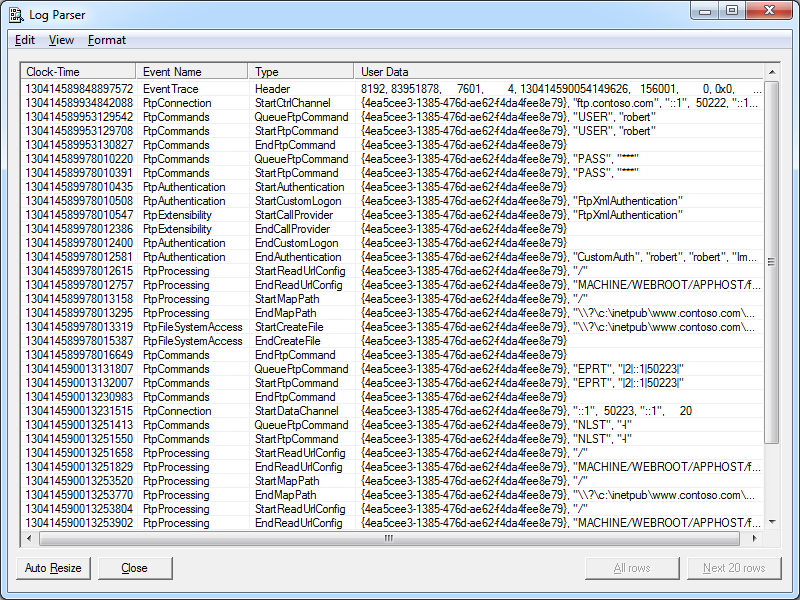 After you have reproduced your issue, hit any key to close the FTP tracing session. 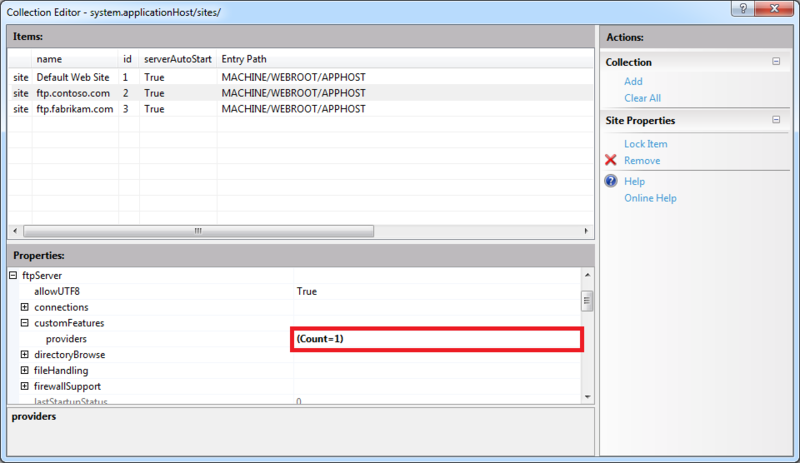 Your trace events will be displayed automatically. Here's another great thing about this new batch file - it will also work down-level on Windows 7 and Windows Server 2008; so if you have been using my previous batch files with IIS 7 - you can simply replace your old batch file with this new version. You will see a few differences between the results from my old batch files and this new version, namely that I included a couple of extra columns that I like to use for troubleshooting. Whenever I am delivering a presentation where I need to use PHP, I typically use a batch file that I wrote in order to rapidly deploy PHP on the system that I am using for my demos. The batch file usually takes less than a second to run, which always seems to amaze people in the audience. As a result, I usually have several people ask me for my batch file after each presentation, so I thought that it would make a good subject for today's blog. I should mention that I have used this batch file in order to demonstrate PHP with IIS in a variety of scenarios, and one of my favorite demos is when I would borrow someone's laptop and plug in a flash drive where I had IIS Express pre-installed, and then I would run the batch file in this blog to deploy PHP. 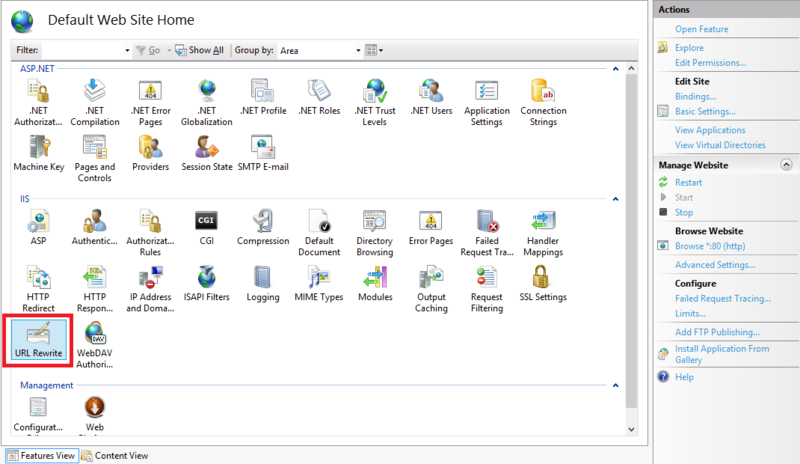 Next I would launch IIS Express, open a web browser on their system, and then browse to http://localhost/ in order to show that IIS Express was working correctly. Lastly I would write a simple PHP "Hello World" page to show that PHP was up-and-running on their system in a matter of seconds. That being said, I have to point out that there is a very important prerequisite that you must have in order to follow the steps in the blog: you need to start with a known-good installation of PHP from one of your systems, and I'll explain what I mean by that. 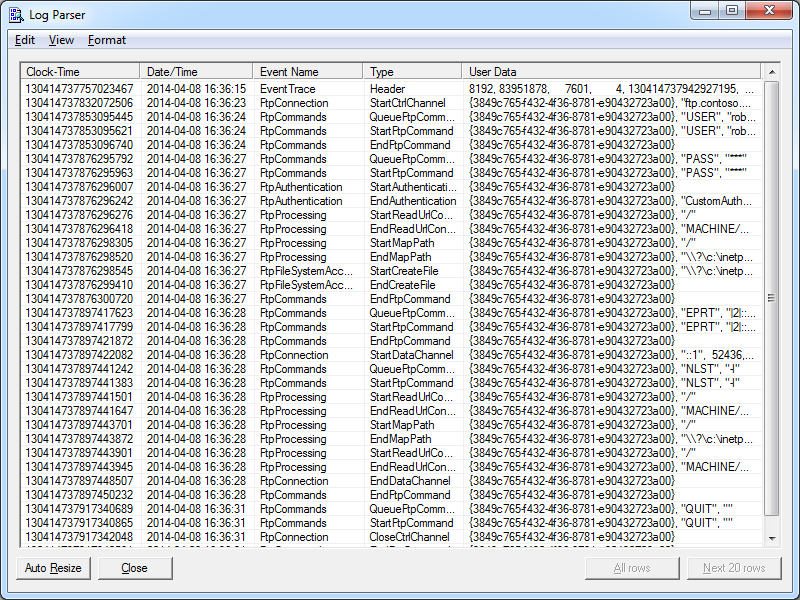 My batch file expects to find a folder containing ready-to-run files for PHP in order to deploy PHP on a new system. I originally obtained my PHP files by using the Web Platform Installer (WebPI) to install PHP, and then I copied the files to my flash drive or some other repository. (Note that WebPI usually installs PHP in the "%ProgramFiles(x86)%\PHP" folder.) If you don't want to use WebPI, you can also download PHP from http://windows.php.net/, but you're on your own for configuration. One thing to note is that the PHP.INI file you use may contain paths which refer to specific directories on the system from which you are copying your PHP files, so you need to make sure that those paths will exist on the system where you deploy PHP. What this means is - if you want to deploy PHP to some other path on subsequent systems, you will need to update at least that line in the PHP.INI file that you are using to deploy PHP. In my particular case, I prefer to deploy PHP to the "%SystemDrive%\PHP" path, but it can be anywhere as long as you update everything accordingly. Once you have all of that in place, it usually takes less than a second to deploy PHP, which is why so many people seem interested during my presentations. Note that you can deploy PHP for IIS Express just as easily by updating the "%SystemRoot%\System32\inetsrv" paths in the batch file to "%ProgramFiles%\IIS Express" or "%ProgramFiles(x86)%\IIS Express" paths. You can also use this batch file as part of a deployment process for PHP within a web farm; in which case, you will need to pay attention to the paths inside your PHP.INI file which I mentioned earlier. I had an interesting WebDAV question earlier today that I had not considered before: how can someone create a "Blind Drop Share" using WebDAV? By way of explanation, a Blind Drop Share is a path where users can copy files, but never see the files that are in the directory. You can setup something like this by using NTFS permissions, but that environment can be a little difficult to set up and maintain. With that in mind, I decided to research a WebDAV-specific solution that didn't require mangling my NTFS permissions. In the end it was pretty easy to achieve, so I thought that it would make a good blog for anyone who wants to do this. 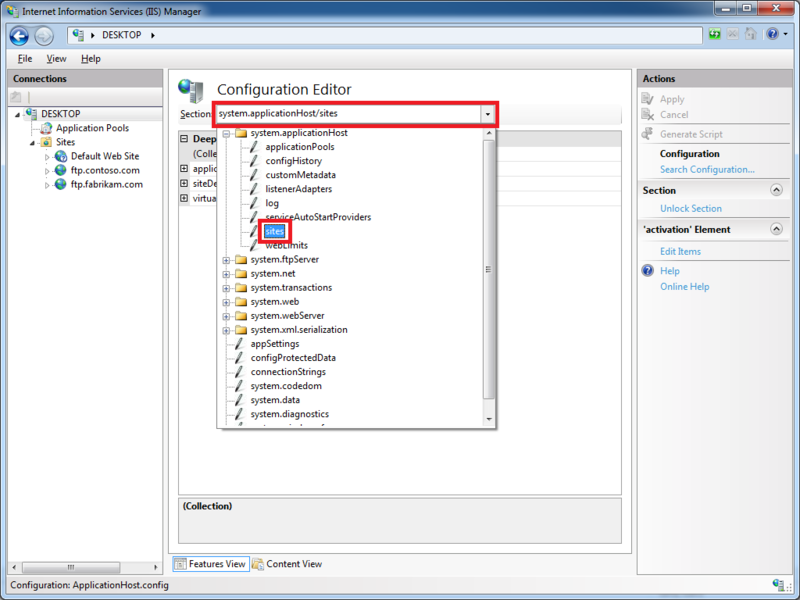 NTFS permissions contain access controls that configure the directory-listing behavior for files and folders; if you modify those settings, you can control who can see files and folders when they connect to your shared resources. However, there are no built-in features for the WebDAV module which ships with IIS that will approximate the NTFS behavior. But that being said, there is an interesting WebDAV quirk that you can use that will allow you to restrict directory listings, and I will explain how that works. If you sent a PROPFIND command for the root of your website with a Depth:0 header/value, you would get the properties for just the root directory - with no files listed; a Depth:0 header/value only retrieves properties for the single resource that you requested. If you sent a PROPFIND command for the root of your website with a Depth:1 header/value, you would get the properties for every file and folder in the root of your website; a Depth:1 header/value retrieves properties for the resource that you requested and all siblings. By analyzing the above information, it should be obvious that what you need to do is to restrict users to using a Depth:0 header/value. But that's where this scenario gets interesting: if your end-users are using the Windows WebDAV Redirector or other similar technology to map a drive to your HTTP website, you have no control over the value of the Depth header. So how can you restrict that? In the past I would have written custom native-code HTTP module or ISAPI filter to modify the value of the Depth header; but once you understand how WebDAV works, you can use the URL Rewrite module to modify the headers of incoming HTTP requests to accomplish some pretty cool things - like modifying the values WebDAV-related HTTP headers. 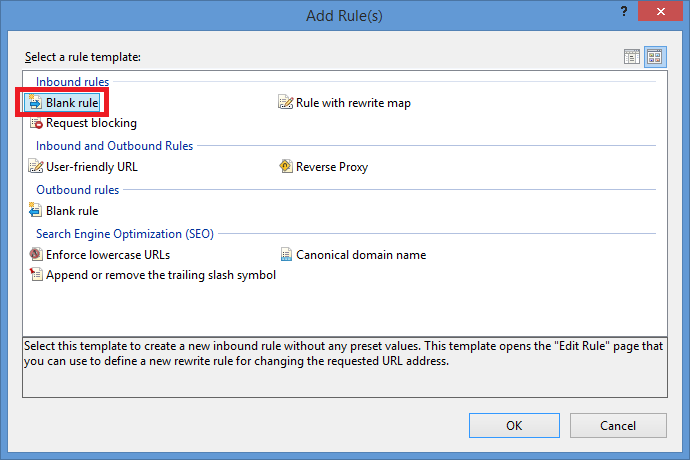 Open the URL Rewrite feature in IIS Manager for your website. Click the Add Rules link in the Actionspane. 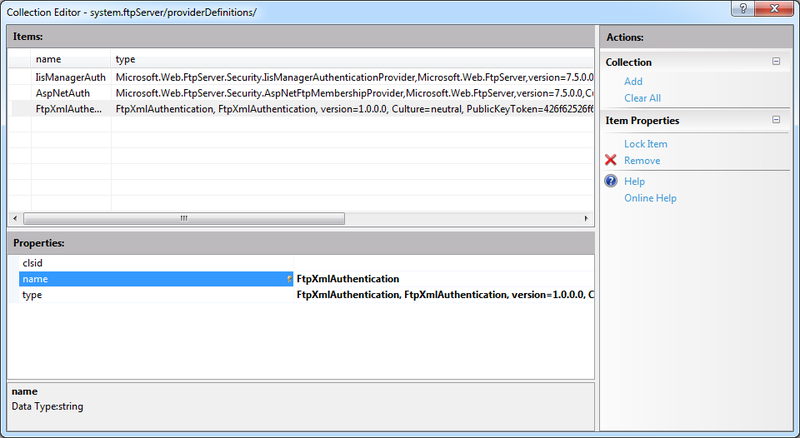 When the Add Rules dialog box appears, highlight Blank rule and click OK.
Name the rule "Modify Depth Header". Choose Matches the Pattern in the Requested URL drop-down menu. Choose Wildcards in the Using drop-down menu. Type a single asterisk "*" in the Pattern text box. 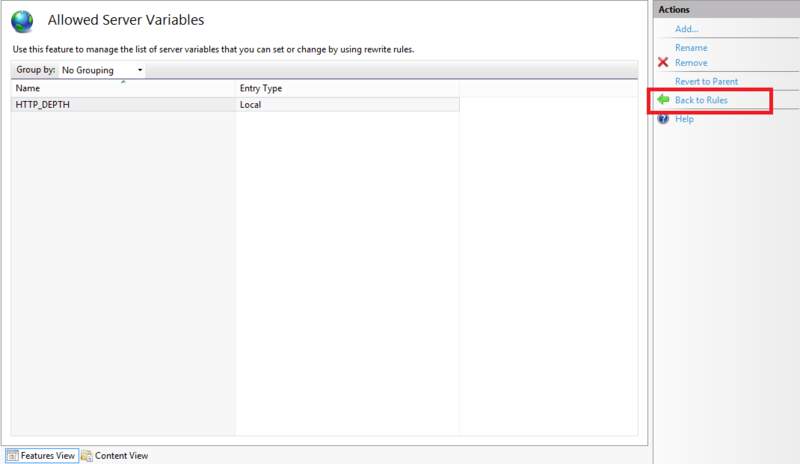 Expand the Server Variables collection and click Add. 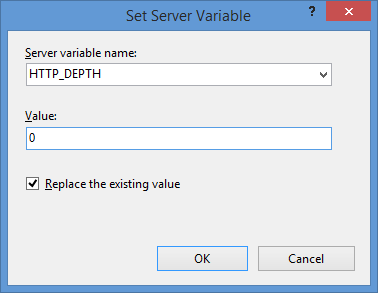 Type "HTTP_DEPTH" in the Server variable name text box. Type "0" in the Value text box. Make sure that Replace the existing value checkbox is checked. In the Action group, choose None in the Action typedrop-down menu. Click Apply in the Actions pane, and then click Back to Rules. 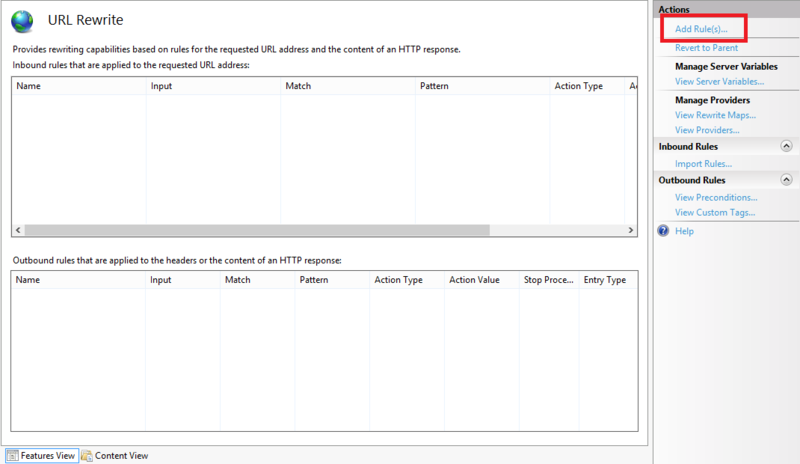 Click View Server Variables in the Actionspane. Click Add in the Actionspane. Click Back to Rules in the Actionspane. In all likelihood, some of these settings will be stored in your applicationHost.config file, and the remaining settings will be stored in the web.config file of your website. 09/16/2013 08:55 PM <DIR> . 09/16/2013 08:55 PM <DIR> ..
09/16/2013 07:52 PM <DIR> . 09/16/2013 07:52 PM <DIR> ..
09/16/2013 11:52 PM <DIR> . 09/16/2013 11:52 PM <DIR> ..
That wraps it up for today's post, although I should point out that if you see any errors when you are using the WebDAV Redirector, you should take a look at the Troubleshooting the WebDAV Redirector section of my Using the WebDAV Redirector article; I have done my best to list every error and resolution that I have discovered over the past several years. 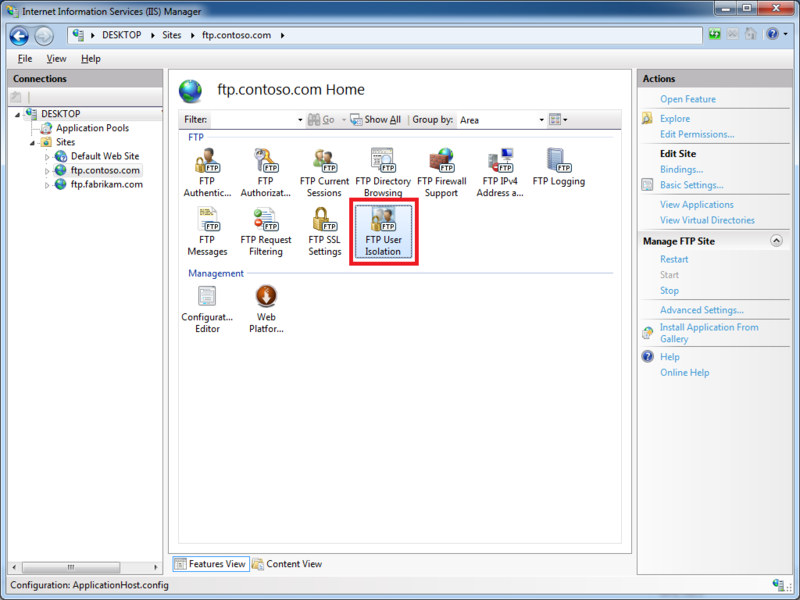 In Part 1 of this blog series about adding custom FTP providers with the IIS Configuration Editor, I showed you how to add a custom FTP provider with a custom setting for the provider that is stored in your IIS configuration settings. For my examples, I showed how to do this by using both the AppCmd.exe application from a command line and by using the IIS Configuration Editor. 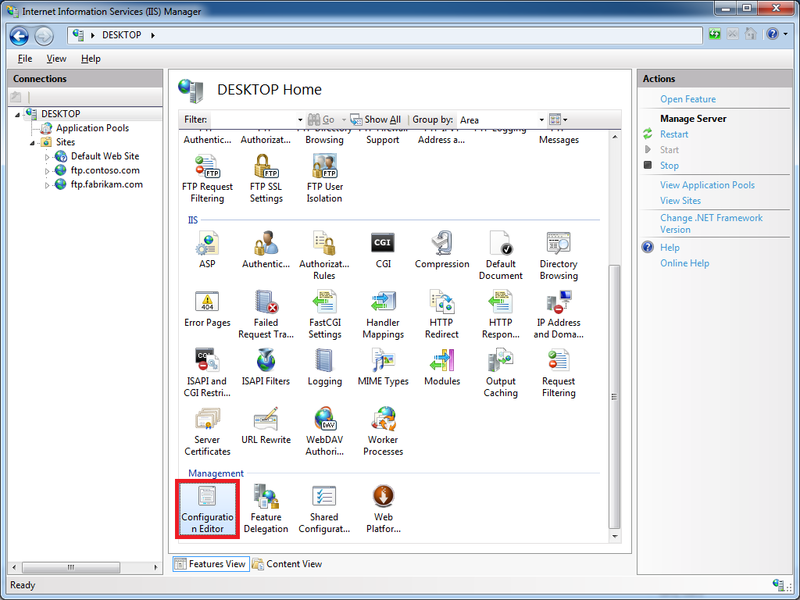 In part 2 of this blog series, I will show you how to use the IIS Configuration Editor to add custom FTP providers to your FTP sites. 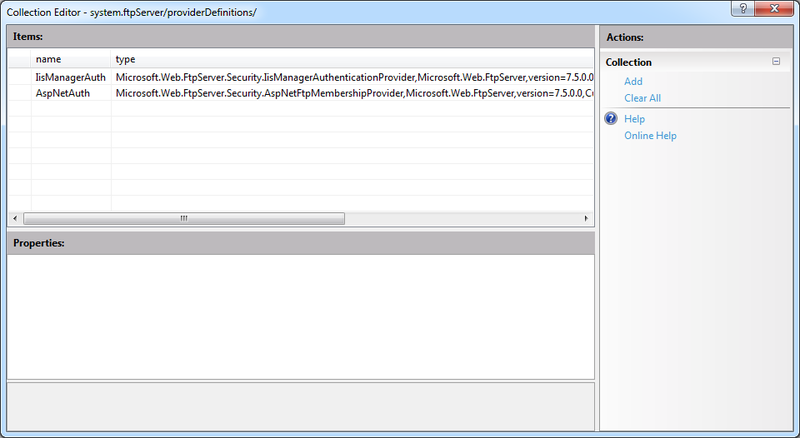 The above example shows the settings that are added globally to register an FTP provider. 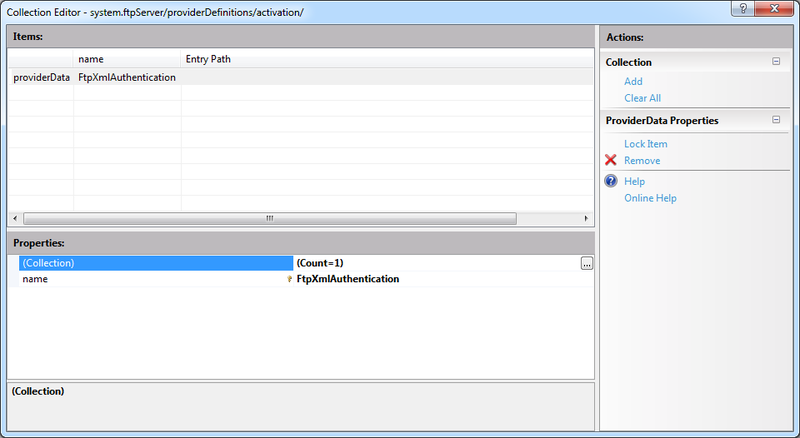 Note that this example only contains the settings for my custom provider; you would normally see the settings for the IisManagerAuth and AspNetAuth providers that ship with the FTP service in the providerDefinitions collection. To actually use a provider for an FTP site, you would need to add the provider to the settings for the FTP site in your IIS settings. 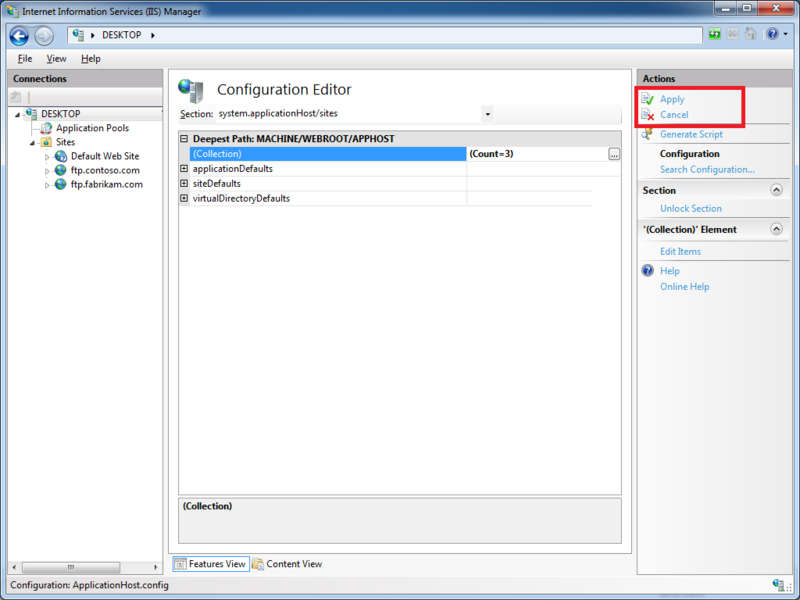 So for part 2 of this blog series, we will focus on how to add a custom provider to an FTP site by using the IIS Configuration Editor. Before continuing, I should reiterate that custom FTP providers fall into two categories: providers that are used for authentication and providers that are used for everything else. This distinction is important, because the settings are stored in different sections of your IIS settings. 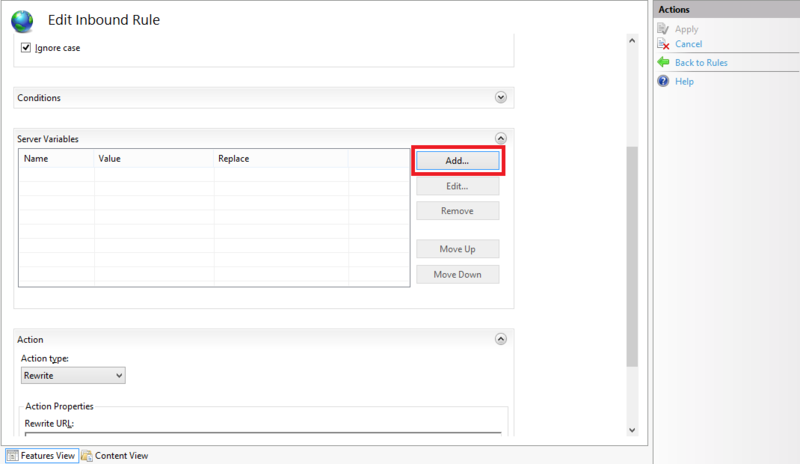 With that in mind, let's take a look at the settings for an example FTP site. A custom FTP authentication provider named MyCustomFtpAuthenticationProvider has been added to the ftpServer/security/authentication/customAuthentication/providers collection; this provider will obviously be used by the FTP service to validate usernames and passwords. A custom FTP home directory provider named MyCustomFtpHomeDirectoryProvider has been added to the ftpServer/customFeatures/providers collection; this will be used by the FTP service for custom user isolation. 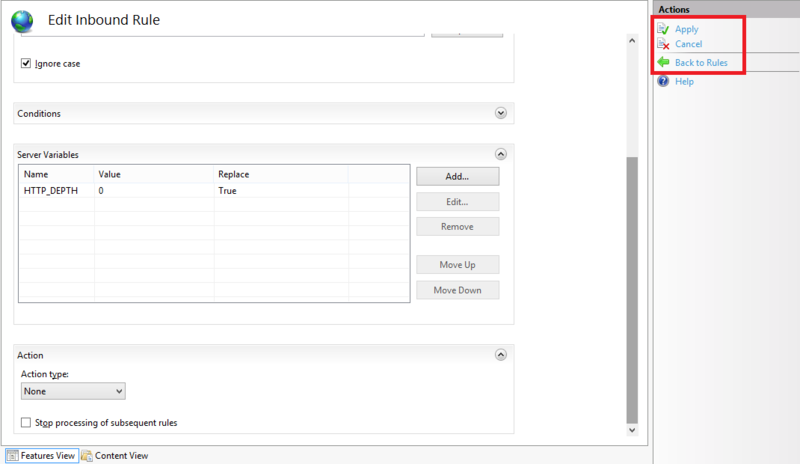 Note the mode for the userIsolation element is set to custom. A custom FTP logging provider named MyCustomFtpLoggingProvider has been added to the ftpServer/customFeatures/providers collection; this will be used by the FTP service for creating custom log files. As I mentioned earlier, you will notice that the settings for FTP custom providers are stored in different sections of the ftpServer collection depending on whether they are used for authentication or some other purpose. Expand the ftpServer node, which is where all of the site-level settings for an FTP site are kept. As I mentioned earlier, custom FTP providers fall into two categories: providers that are used for authentication and everything else. Because of this distinction, the following steps show you how to add a provider to the correct section of your settings depending on the provider's purpose. 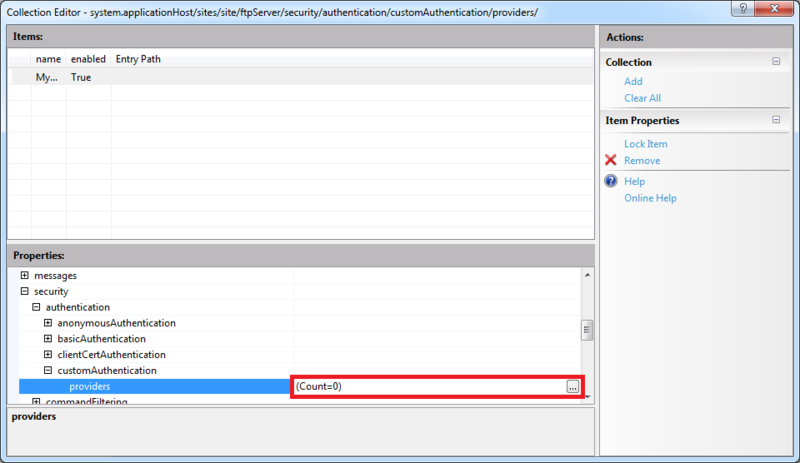 First and foremost - there is built-in support for adding custom authentication providers in IIS Manager; to see the steps to do so, see the FTP Custom Authentication <customAuthentication> article on the IIS.NET website. 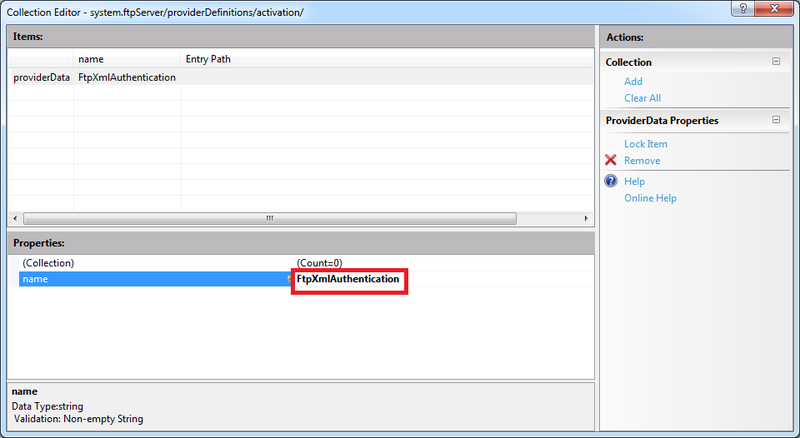 However, if you want to add a custom FTP authentication provider to an FTP site by using the IIS Configuration Editor, you can do so by using the following steps. 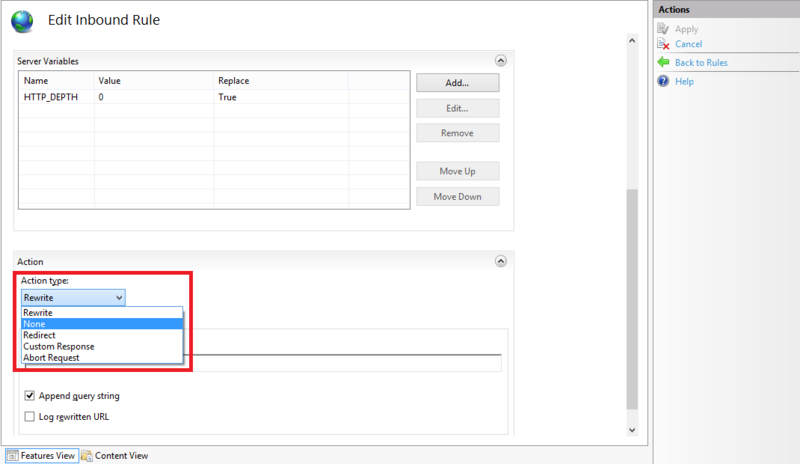 As I mentioned in part 1 of this series, I admit that this might seem like a lot of steps to go through, but it's not that difficult once you understand how the configuration settings are organized and you get the hang of using the IIS Configuration Editor to add or modify these settings. 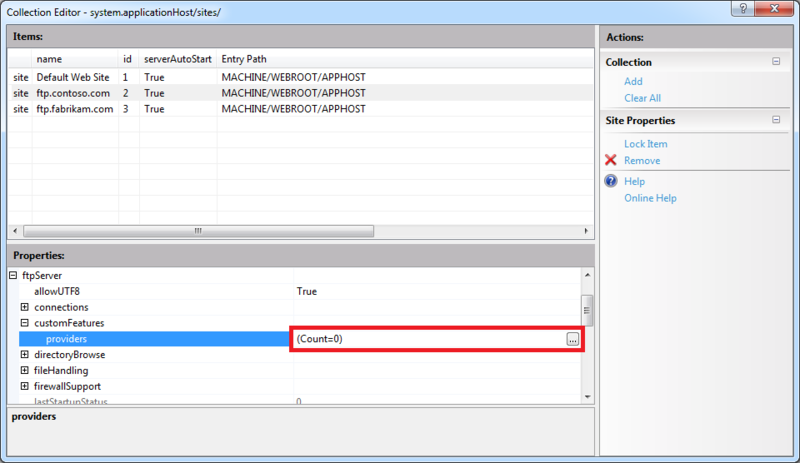 In the Add a custom FTP provider to an FTP site that is not used for authentication section of this blog, I added a step to specify Custom as the User Isolation mode. Since this is something of an advanced feature, there is no user interface for enabling custom user isolation; this was a design decision to keep people from breaking their FTP sites. Here's why: if you enable custom user isolation and you don't install a custom Home Directory provider for FTP, all users will be denied access to your FTP site. 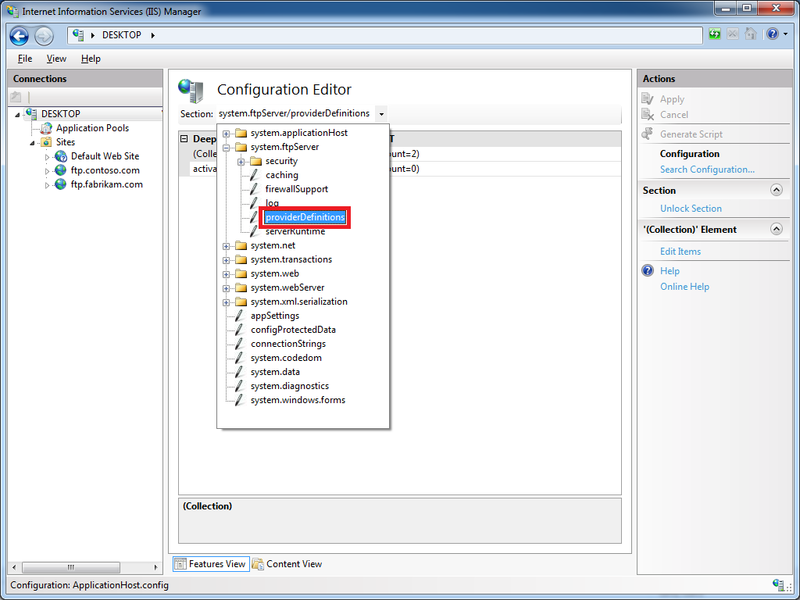 That being said, once you have enabled custom user isolation, the option to disable custom user isolation will "magically" appear in the FTP User Isolation feature in the IIS Manager. To see this for yourself, you would first need to follow the steps to custom user isolation in the Add a custom FTP provider to an FTP site that is not used for authentication section of this blog. This option will appear as long as custom user isolation is enabled. 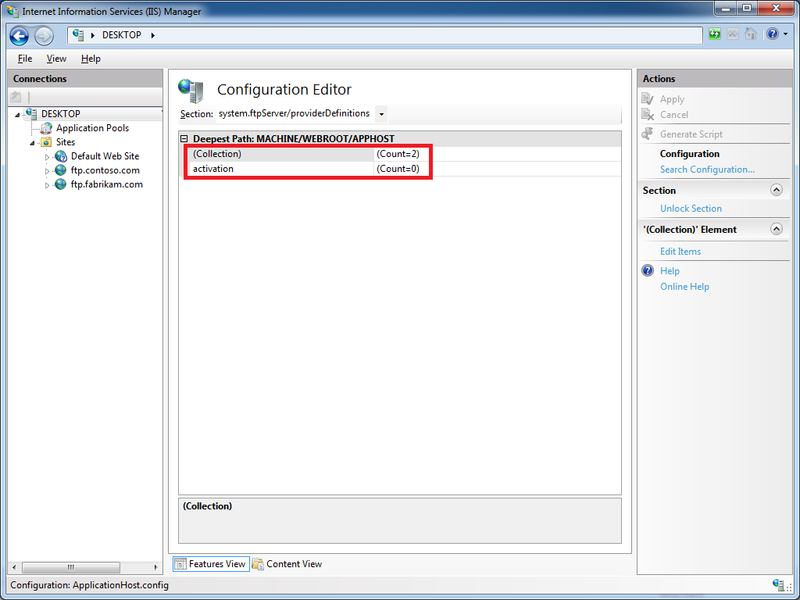 If you change the user isolation mode to something other than Custom, this option will continue appear in the list of user isolation modes until you navigate somewhere else in IIS Manager. 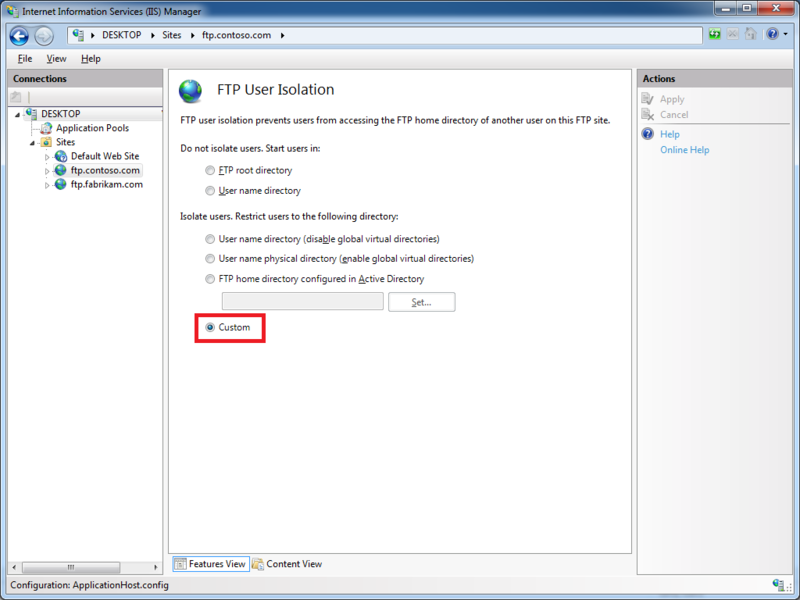 Once you have changed the user isolation mode to one of the built-in modes and you navigate somewhere else, the Custom option will not show up in the FTP User Isolation feature until you follow the steps to re-enable custom user isolation. Note: The file path that you specify in the xmlFileName attribute must match the path where you saved the "Users.xml" file on your computer in the earlier in this walkthrough. This example adds a custom FTP provider, and then it adds a custom setting for that provider that is stored in your IIS configuration settings. 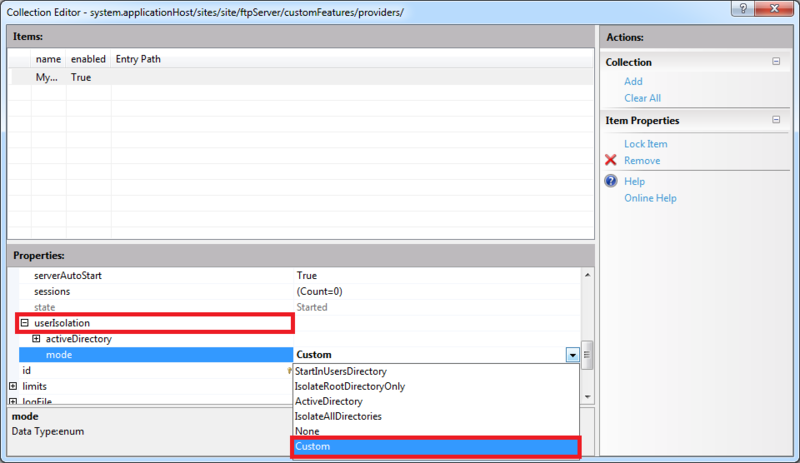 That being said, there is actually a way to add custom FTP providers with settings like the ones that I have just described through the IIS interface by using the IIS Configuration Editor. 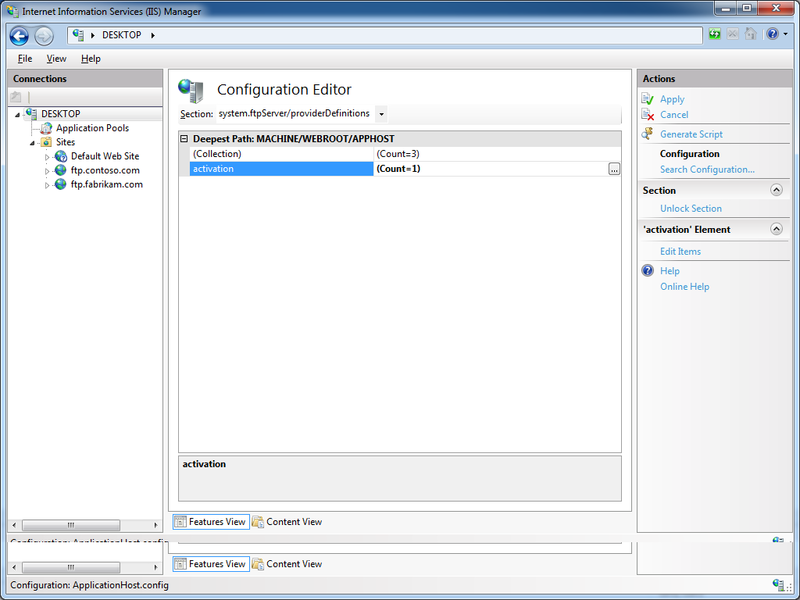 This feature was first available through the IIS Administration Pack for IIS 7.0, and is built-in for IIS 7.5 and IIS 8.0. 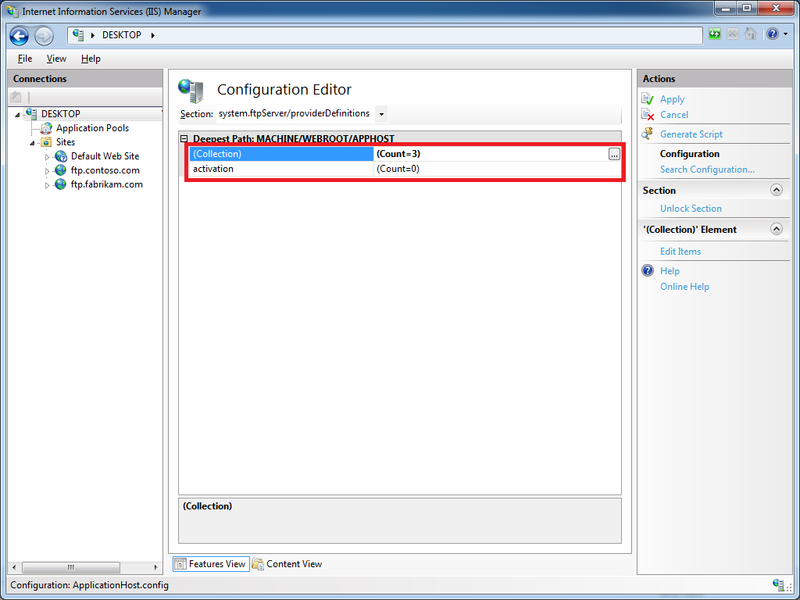 With that in mind, in part 1 of this blog series, I will show you how to use the IIS Configuration Editor to add a custom FTP provider with provider-specific configuration settings. That's all that there is to adding a custom FTP provider with provider-specific settings; I admit that it might seem like a lot of steps until you get the hang of it. 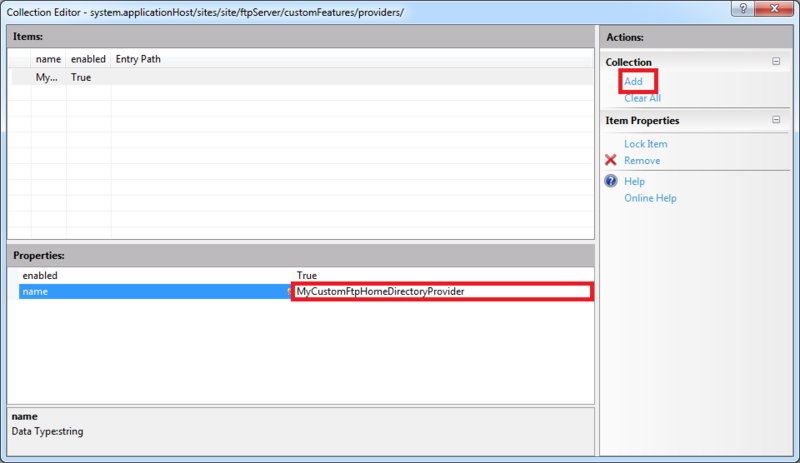 In the next blog for this series, I will show you how to add custom providers to FTP sites by using the IIS Configuration Editor. 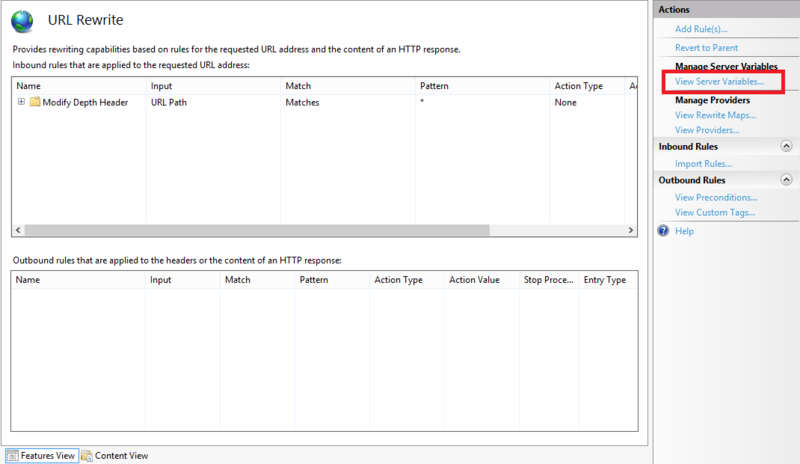 I had another interesting situation present itself recently that I thought would make a good blog: how to use Classic ASP with the IIS URL Rewrite module to dynamically generate Robots.txt and Sitemap.xml files. Here's the situation: I host a website for one of my family members, and like everyone else on the Internet, he wanted some better SEO rankings. We discussed a few things that he could do to improve his visibility with search engines, and one of the suggestions that I gave him was to keep his Robots.txt and Sitemap.xml files up-to-date. But there was an additional caveat - he uses two separate DNS names for the same website, and that presents a problem for absolute URLs in either of those files. Before anyone points out that it's usually not a good idea to host multiple DNS names on the same content, there are times when this is acceptable; for example, if you are trying to decide which of several DNS names is the best to use, you might want to bind each name to the same IP address and parse your logs to find out which address is getting the most traffic. In any event, the syntax for both Robots.txt and Sitemap.xml files is pretty easy, so I wrote a couple of simple Classic ASP Robots.asp and Sitemap.asp pages that output the correct syntax and DNS-specific URLs for each domain name, and I wrote some simple URL Rewrite rules that rewrite inbound requests for Robots.txt and Sitemap.xml files to the ASP pages, while blocking direct access to the Classic ASP pages themselves. First of all, I chose Classic ASP for the files because it allows the code to run without having to load any additional framework; I could have used ASP.NET or PHP just as easily, but either of those would require additional overhead that isn't really required. That being said, let's move on to the actual code. You need to save the following code sample as Robots.asp in the root of your website; this page will be executed whenever someone requests the Robots.txt file for your website. This example is very simple: it checks for the requested hostname and uses that to dynamically create the absolute URL for the website's Sitemap.xml file. The following example file is also pretty simple, and you would save this code as Sitemap.asp in the root of your website. There is a section in the code where it loops through the file system looking for files with the *.html file extension and only creates URLs for those files. If you want other files included in your results, or you want to change the code from static to dynamic content, this is where you would need to update the file accordingly.
' Check for XML or TXT format.
' Add the UTF-8 Byte Order Mark.
' Always output the root of the website.
' you would change the code for dynamic content.
' End of file system loop.
' 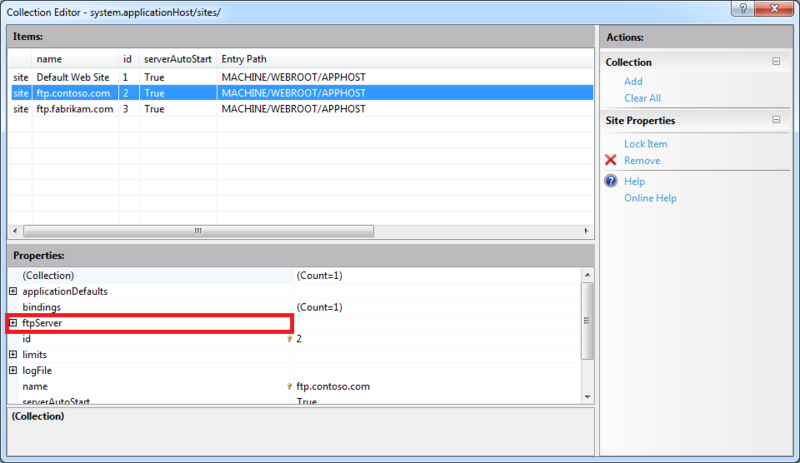 Outputs a sitemap URL to the client in XML or TXT format.
' Check if the request is for XML or TXT and return the appropriate syntax.
' Define the initial values for the folder counters.
' Dimension an array to hold the folder names.
' Store the root folder in the array.
' Set up a folder object to a base folder.
' Increment the folder count.
' 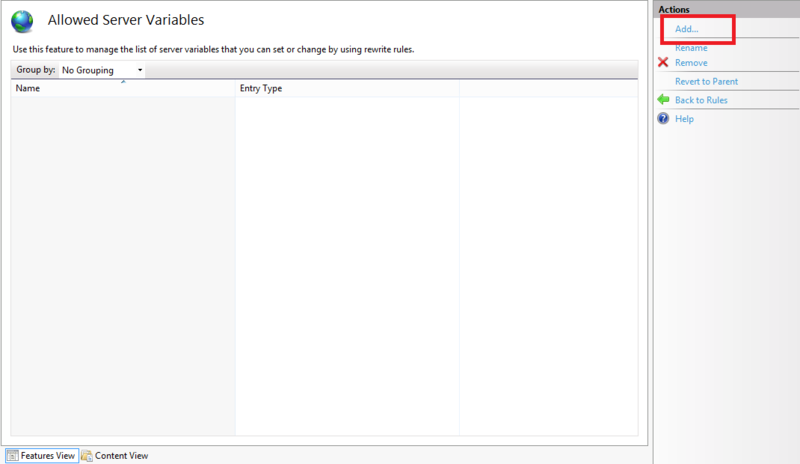 Store the folder name in the array. The GetFolderTree() function returns a string array of all the folders that are located under a root folder; you could remove that function if you were generating all of your URLs dynamically. The WriteUrl() function outputs an entry for the sitemap file in either XML or TXT format, depending on the file type that is in use. It also allows you to specify the frequency that the specific URL should be indexed (always, hourly, daily, weekly, monthly, yearly, or never). That sums it up for this blog; I hope that you get some good ideas from it. Following up on today's public release of Microsoft Windows Server 2012 and Internet Information Services 8.0, you'll notice some big changes on the IIS.net website. Over the past few months, we've been working hard with several partners to roll out a brand-new design for the IIS.net website that resembles more closely the look and feel of our websites for Microsoft Azure, Windows Server 2012, and Visual Studio 2012. Microsoft has just released Windows Server 2012! You can find out more about this release on the Official Windows Server 2012 Launch Website (http://www.windows-server-launch.com). In tandem with the release of Windows Server 2012, the IIS team is happy to announce the general availability of Internet Information Services 8.0 This new version of IIS offers a wealth of new features and improvements, and here are just a few of the enhancements that you can expect in IIS 8.0: Application Initialization, Dynamic IP Address Restrictions, Centralized SSL Certificate Store, CPU Throttling, FTP Logon Attempt Restrictions, Server Name Indication (SNI) Support, Improved SSL and Configuration Scalability, support for Multicore Scaling on NUMA Hardware, and more! 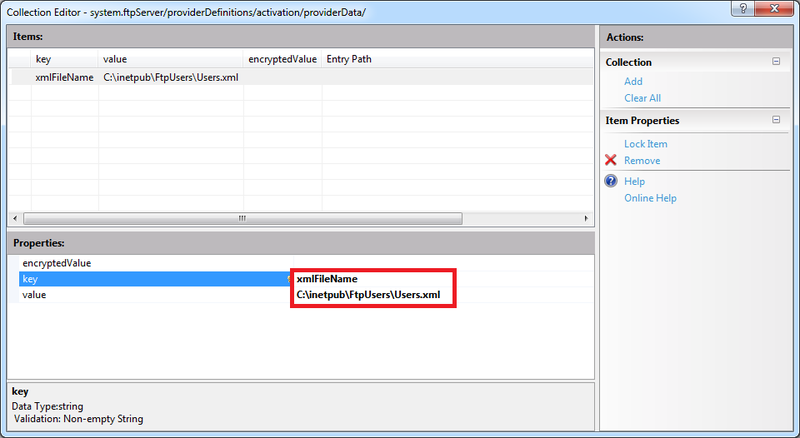 Additional information about IIS 8.0 is available in the "What's New in IIS 8.0 for Windows 8?" web page. If you'd like to try IIS 8.0 for yourself, you can download the evaluation version and start experimenting today! The folks in the TechEd group have uploaded the video from my "What's New with Internet Information Services (IIS) 8: Performance, Scalability, and Security Features" presentation to YouTube, so you can view the video online. One quick side note: around 38:55 during the video, I had just asked the audience if anyone had used the IIS Configuration Editor, when a tremendous thunderclap resounded outside - this prompted a great laugh from audience members. After the presentation had ended, a couple people came up and jokingly asked how I had managed to stage that so well.